Aotearoa is the Maori name for New Zealand. It means Land of the Long White Cloud. The clouds here bear watching, and not just because it is a maritime climate. The sky has many interesting clouds, most of the time. Another cool Maori word is Iwi, which means people or tribe. Funny enough, it has no relation to Kiwi. The Kiwi bird itself is misnamed. It was assumed to be the same as a more tropical bird with made a noise like ki-wi. The Kiwi fruit is actually a gooseberry. Go figure. 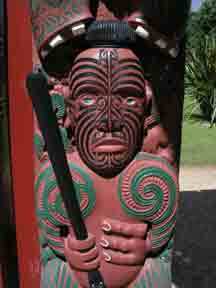 The Maori are polynesian. 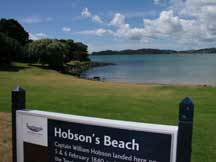 Auckland bills itself as the largest polynesian city in the world. Maori itself, like most polynesian languages is not a complicated language. There are many letters english speakers use that are absent, including staples like B and D. This should make it easier, but there is a peculiar force at work. The simpler it is, the more various, unrelated words will resemble each other, and thus be harder to memorize. Consider Whananui, Whangarei annd Whangaparoa. I have, and my head hurts. Luckily it gets easier, according to Chris. The Treaty of Waitangi was ostensibly about the Maori of the northlands petitioning for the protection of the crown of england. They knew they could not expell the "visiting" white men, and made a tactical decision to negotiate a future that included their interests. This treaty has been the source of much hand-wrining since. 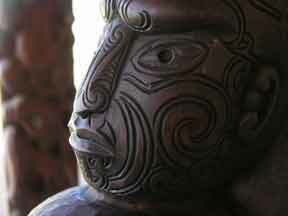 Most recently, New Zealand has recognized the Maori claims and made moves to resolve the issues once and for all. This depends on the Maori, and they are invested in the process. The comparison with the situation in Australia couldn't be more stark. One of the most highly visible Maori traditions is the Haka. Haka generically means any dance, but it has come to be most known as the war dance prior to combat. Specifically, one done before a sporting contest. Even more specifically, the New Zealand All Blacks, the most feared rugby team in the world, execute a world-famous haka before each game. The crowd participates heartily. Indeed, for white New Zealanders the haka is part of their culture. At the 75th anniversary of the ANZAC landing at Gallipolli, a joint Aussie-Kiwi service was held. The Aussies went first, and their service was quite Anglican. The Kiwi part followed and culminated in a 98-year old veteran rising from his wheelchair to lay a wreath. He extemporaneously exhorted the crowd to live life and seek happiness and peace. The New Zealand color guard got the eyeballed permission to approach the front of the service and proceeded to perform the Haka to end all Hakas. They brought the house down. It was left to my Australian counterpart to put it best: "I always thought we were the same, you know, similar stock, similar people. Now I know we aren't. And today, I'd rather be a Kiwi." I tried to find someone there who had taken a photo, but there were none. They were all doing the Haka. 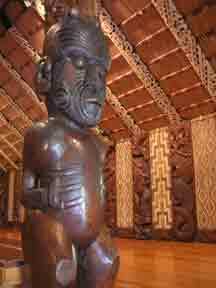 The Maori culture has many interesting aspects. The history is rich and the cultural designs known around the world. Today we visited the Waitangi Treaty house, where a treaty between the Maori and the British was signed in the early 1800's. The treaty is still in effect today. It is the framework for land-rights agreements and political-representation issues that are hotly discussed even today. Maori tribes today link their history back to the original war canoes, of which there were 7 or 9 depending on who's telling the story. The canoes came from Hawaiki, and carried 40 men each. 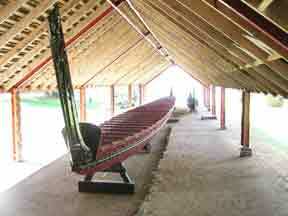 The maori settled and led agricultural lives mostly in the North Islands tepid climate.